Canangsari and Segehan is the most basic component in an offering by Hindus in Bali. Two of these facilities is a form of respect, devotion, and thanks of man to God. Not only that, canangsari and segehan is a manifestation of human brotherhood to the ancestral spirits and demons. 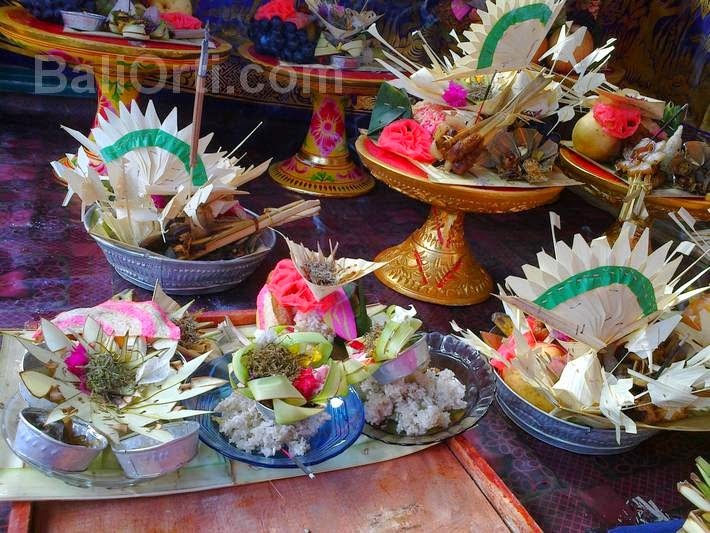 There are three basic components to any offerings by Hindus in Bali, namely flower / leaf / fruit, fire, and water. Canangsari is the most complete group of flower / leaf / fruit. Tirta is representing the water. Incense represents fire. See also: Canang sari is characteristic of Bali. It is true that God does not take food from humans, but all offerings made by Hindus in Bali, with a number of very large and very many, it all is a manifestation of human devotion and gratitude for all fertility and blessing given by God. See also: Banten, canangsari, segehan, Pajegan, rarapan, all of it is a means to worship by Hindus in Bali. The shape is more complex than a offerings to canangsari in it.